NEWCASTLE: Thursday, November 29, 2018: KRIS Lees feels High Power’s wide draw may actually work in his favour in Saturday’s Sky Racing Spring Provincial Series final at Kembla Grange. Lees has both High Power (Andrew Gibbons) and Chalmers (Koby Jennings) in the $150,000 1600m final of the inaugural series. He also has the sole emergency I Am Awesome waiting in the wings in case there is a withdrawal from the field of 15. High Power drew the outside barrier whereas Chalmers has an inside alley, but Lees this afternoon was leaning toward the former as his best chance. A ‘Heavy 10’ rating was posted this morning after Kembla received a 61mm drenching yesterday. “They invariably get away from the inside when the track is heavy, so I’m not really worried about it. Chalmers carried 1.5kg more that day and finished fourth – but was 3.6 lengths from his stablemate – and was also having his second run back. The pair now meet on the same terms, each carrying 57.5kg.
. Lees is unlikely to have a runner at Saturday’s corresponding Rosehill Gardens meeting, but will have three representatives at Canterbury tomorrow night. They are Pierina (1250m Benchmark 70 Handicap), Waruna (1550m Benchmark 70 Handicap) and Only Wanna Sing (1100m Benchmark 70 Handicap for colts, geldings and entires). Kerrin McEvoy rides Pierina, whilst James McDonald partners Waruna and Only Wanna Sing. The latter is also an acceptor for a Benchmark 78 Handicap (1100m) at Rosehill Gardens – where stablemate Envy Of All has already been withdrawn after racing at Warwick Farm yesterday – but Lees feels the Canterbury assignment is a “bit easier”. 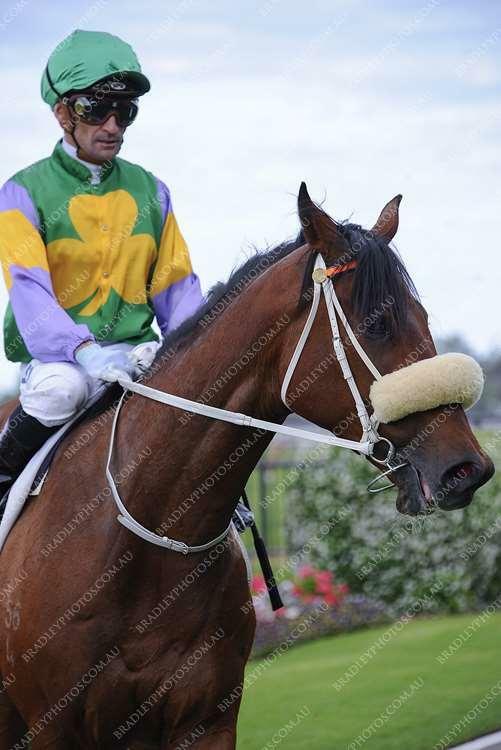 “Only Wanna Sing was a bit unlucky not to have won at Hawkesbury last time (second to Above And Beyond in an 1100m Class 1 Handicap),” Lees said. Lees has opted to race Waruna in winkers on McDonald’s advice. “James feels they will suit her, and she should have won her last start at Canterbury when she got out late and ran home strongly,” Lees said. Pierina, who races in the Lucia Valentina colours, also looks well placed to return to the winning list. “She is a nice mare who has come back well and I was pleased with her latest Canterbury second,” Lees said.